Trance director Danny Boyle is fond of films that truly get inside the heads of his characters. Whether it Dev Patel’s Slumdog Millionaire -- where the audience learns his journey to game show titan through his memories -- or in 127 Hours where James Franco is stuck with his arm under a boulder, dozens of miles from civilization and much of the story is told through his thoughts. What better challenge for the cerebral director than to tell a story of a person who cannot remember a thing about a pivotal point in the plot? 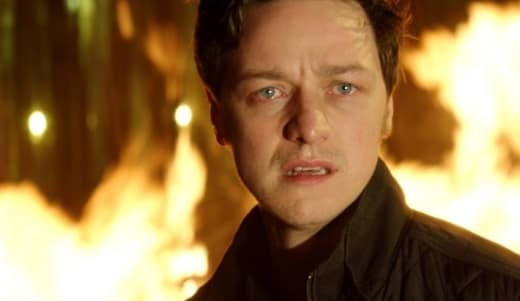 As previewed in the Trance trailer, the story follows James McAvoy’s London auctioneer, Simon. He is a mild-mannered chap who is quite good at his job and by all appearances, living the life he dreams of. During the auction of a $25 million painting, robbers strike and Simon gets hit in the head. He awakes in a hospital with no memory of what happened. Vincent Cassel is Franck, the leader of the heist crew. When Simon returns home from the hospital, we learn that Franck is none too pleased with him. Seems that Simon stashed the painting during the robbery away from the crooks and Franck wants to know where it is. The only problem, Simon’s amnesia is preventing him from remembering anything. 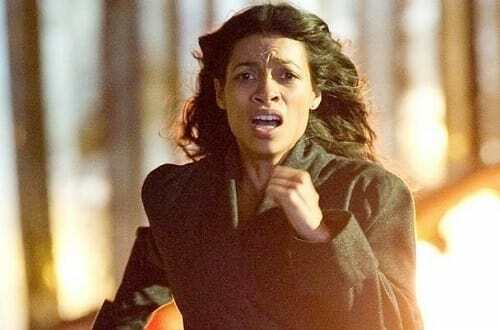 When beat-downs don’t work, they turn to a hypnotherapist (Rosario Dawson) in hopes of unlocking the mystery that is lost inside Simon’s brain. Boyle masterfully weaves suspense and psychological drama, all within the firm confines of a heist film. Yet, it is still classic Boyle brilliance as the filmmaker manages to keep his story firmly inside the head of his lead… even if he doesn’t remember the details. McAvoy could not be a better choice as he masterfully weaves between clueless and cunning. See, when his memories start coming back… he sees a way to benefit from the situation. How does Franck know what he remembers… and when?! Dawson is subtle, yet powerful in the role of the hypnotist who may have her own agenda in this heist. And Cassel (Black Swan) yet again proves that the French actor has something special to bring to any film as the frustrated, brutal and bodacious ring leader. Our Trance review states that the film is, at its heart, a true triumph of collaboration between Boyle and his lead, McAvoy. Much as he achieved with Patel in Slumdog Millionaire and Franco in 127 Hours, the pairing of director and star is always an important one. With Boyle and his leads, proved true yet again in the terrific Trance, there are few that do it better.